Tradesmen in specialised fields e.g. drainage, roofs, gutters, taps, toilets, garbage disposal units etc. Complete hot water service (repairs and replacement) – electric, gas, heat pump, solar. A very professional service all round. I rang at 7am in the morning and by midday the hot water tank that had burst had been replaced and the old one removed. The staff on the phone were polite and knowledgeable, the technicians that attended were also polite and very professional and the quality of their work was excellent. A great result - Thank you! My family have been using Conrad Martens Plumbers for years and they never disappoint. Fast paced, friendly service at a reasonable price. What more could you want?! would highly recommend. Conrad Martens helped us with an emergency plumbing problem. Came out very fast and gave us a competitive price. Would definitely recommend. A great team who go out of there way to help! 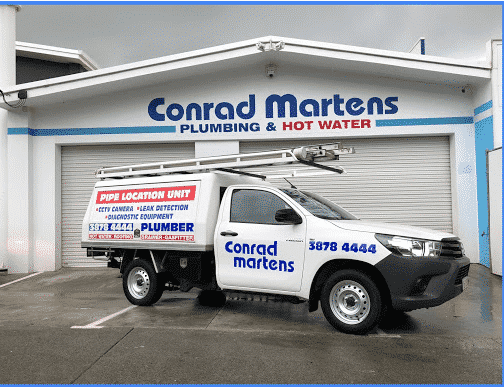 No hesitation in recommending Conrad Martens for all your plumbing and hot water needs! Since appointing Conrad's as our main plumbers we have been consistently impressed. With a large rent roll maintenance is always an ongoing issue and having the right tradesman for the job is a life saver for us PMs! They have no issue speaking directly with owners, return all keys on time and are very thorough with their quotes and invoices. Great service and competitive pricing, what more could you want! My family have been using Conrad Martens for years. They provide a very reliable service. I recently used them to fix a blocked drain, they arrived within an hour of me calling and sorted the problem quickly. No dramas. Recently we had a major plumbing problem at our property. I rang Conrad Martens and spoke with a very friendly "Olivia" who was extremely helpful and also spoke with Jackson, equally as friendly and helpful. Mitch attended our property, on time and worked in an extremely timely and professional way to find the problem. Mitch explained clearly what the problem was and presented a number of options that we could take and what he thought may be the best solution. Under 2 hours, he had the problem sorted. My overall experience with Conrad Martens exceeded my expectations (having been burnt by other tradies in the past). The staff went above and beyond to assist. If you want honest, experienced and efficient work done I would strongly recommend these guys. Thank you!!! I was in urgent need of a plumber and i couldn't have picked a more professional and affordable team. They had someone out to my property within a few hours and fixed the problem on the spot. I recommend Conrad Martens as your go to guys for Plumbing! Excellent service! They came very quickly to fix our hot water system and replaced it with an awesome one! Also very fast response on a Sunday! Conrad Martens plumbing is absolutely Killin it!! I called Conrad Martens with an emergency - what I thought was a burst pipe. When I called the person on the phone was so helpful, and realised that the problem was serious so sent two people out first thing. The plumbers were outstanding - they quickly solved my problem. I will use Conrad Martens again - they are great! I have personally been dealing with Conrad Martens since 2007. He and his staff have dealt with my plumbing and gas issues with the utmost efficiency, professionalism, and quality service. Whilst plumbing is reputedly expensive, I have always been looked after with regard to price and I know that the backup service, should it be required, would be prompt and efficient. A top local company. I have used Conrad Martens Plumbing for over 25 years and have always enjoyed prompt, efficient and reliable service from them. 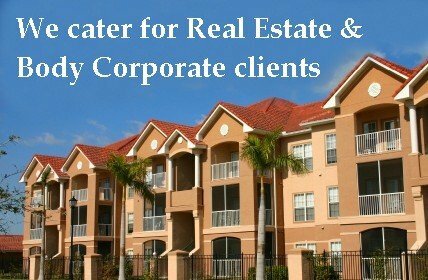 They are extremely knowledgeable and skilled and provide great advice. Give them a go. The service was better than what we expected. Our issue in Carina today was solved quickly and the 2 plumbers who attended were very polite, efficient and professional. I will definitely refer CM's on to anyone I know. I just want to thank the entire team at Conrad Martens, especially Jackson. The service they provide is sensational. The Admin team are prompt and informative, the plumbers are reliable and provide high quality work. The Owners of the business are hands on and dedicated to great service. I highly recommend this company. Rang them in the morning before lunch. The plumber called not long after lunch. Clean, fast, efficient, courteous. What more could you ask for. Would recommend them to all.And of course, the person who answered my phone call, and dealt with my needs was also very pleasant and businesslike,assuring me that I could expect confirmation of my service call without delay. This email arrived within minutes. Thank you Conrad Martens. Service and friendliness at the highest level!!! We had a water problem on Easter Monday and they made it possible to come immediately to solve the problem. They did an amazing job, thank you so much! I can highly recommend Conrad Martens Plumbing.